Undeniably the most recognizable and iconic character in video game history, Nintendo’s adventurous and jolly plumber has graced us with countless experiences for decades. To celebrate their mascot’s 30th anniversary, Nintendo has handed us the keys and given us the go-ahead to create our own memories through Super Mario Maker. 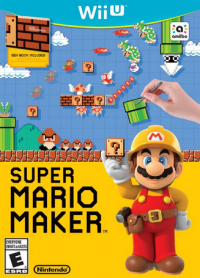 True to its name, in its most basic form, Super Mario Maker is a tool that lets players create their own levels based on the mechanics and graphics from Super Mario Bros., Super Mario Bros. 3, Super Mario World, and New Super Mario Bros. U. 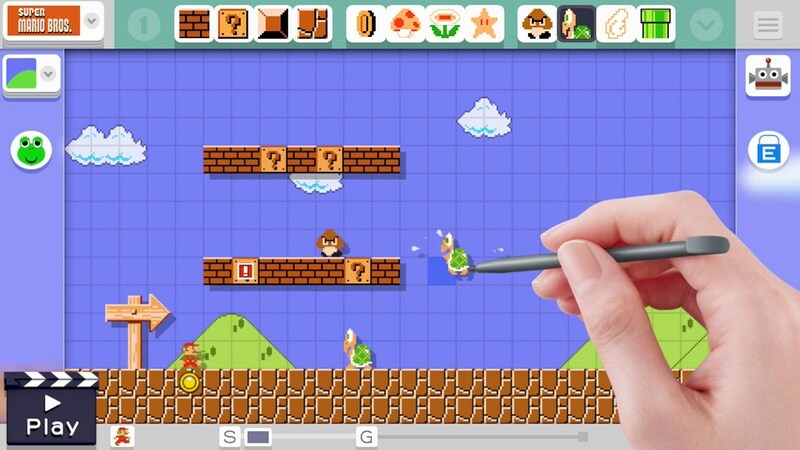 The Wii U GamePad makes it easy to design your own Mario levels. How intricate can you be? Though it’s true that there have been quite a few unlicensed mods and versions of this course creator over the years, hardly making this a fresh idea, never before has creating a level been so easy, and gamers have the Wii U GamePad to thank for that. When you first pop the game in, you’re actually treated to a level reminiscent of 1-1 in Super Mario Bros., except for one thing. The level is unfinished, and there’s no way to get to the flagpole. It’s up to you to finish it, and the tutorial helps you do that. This is where you’re thrown into the basics of course design. With the GamePad, you can design paths and add “?” blocks containing just about everything from enemies, to power-ups, to just about anything you want. Want to put three Bowsers in a level? Go ahead. Want to make enemies and power-ups fly? Give them wings. What about a conveyor belt full of fire-spitting piranha plants and bullet bill cannons? You can do that too. You can even stack enemies on top of enemies to be the ultimate Mario troll. Cliche time: The possibilities are endless. As you get more involved with the design aspect, you’ll unlock even more customization options to play around with. The main thing to note is that a level has to be done completely in one particular game’s theme. So if you’re designing a Super Mario Bros. level to try to have Mario enter a pipe, only to be launched into a world featured in New Super Mario Bros., that isn’t going to work. You also have to keep in mind that you’re limited to the physics of each game as well, so there isn’t going to be any wall jumping in Super Mario Bros. nor will there be any spin jumps in New Super Mario Bros.
After saving a level you’ve created, provided that you can clear the level yourself, you can upload your level to the internet where virtually anybody can play it. 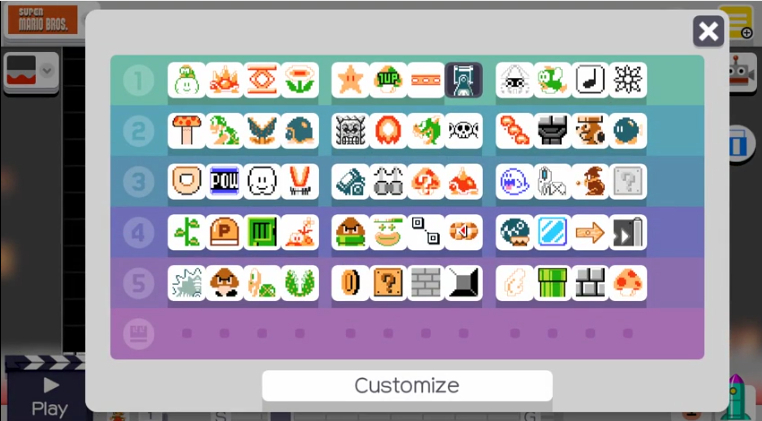 Each level is rated by the Super Mario Maker community and moderators, and if you’re lucky, it can be featured for even more people to play. Upon your upload, you’re also given a code so that anybody with the game can try your level out. Super Mario Maker isn’t just a level design tool, it’s a community within itself. If you just can’t think of how to start creating your special level, maybe you can look at others for inspiration. The game’s Course World allows you to take part in the 10 and 100 Mario Challenges and check out featured courses from other makers. Both versions of the challenge require you to complete eight randomly chosen Mario courses. The 10 Mario Challenge is really just about getting you creative juices flowing as you play through a random bunch of levels created by Nintendo, while the 100 Mario Challenge has you going through randomly selected levels from the Mario Maker community with only 100 lives. It might seem like a lot, but since it’s with the greater community, you can expect some trolling levels. So if you get through it, you’ll be awarded with a new costume for Mario to use. 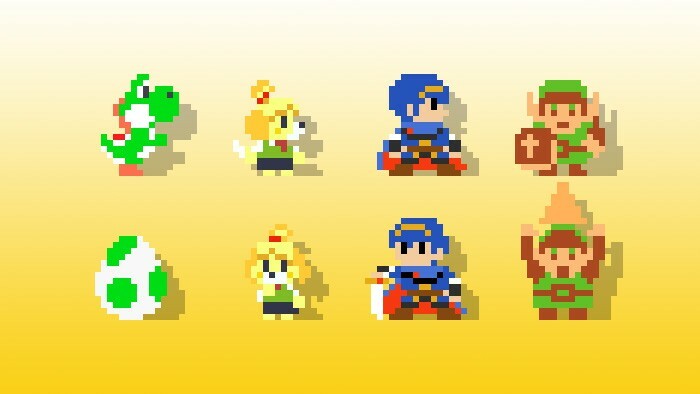 Most of these costumes can also be unlocked through amiibo. The game features costumes you unlock through 100 Mario Challenge or amiibo, so you can use other popular Nintendo characters in the game. Holding up allows each character to pose! Speaking of amiibo, the game supports more than 50 amiibo primarily in the form of costumes. So if you have a Sonic or Mega Man lying around, then yes, you’ll have the ability of clearing these Super Mario levels as any of the amiibo characters. We have to reiterate that they’re just skins, so if you’re hoping to use Sonic’s spindash, Mega Man’s blaster, or Link’s sword, that’s unfortunately impossible. Nintendo also came out with a 30th Anniversary 8-Bit Mario amiibo using that unlocks the Mega Mushroom to mess around with each course as Mega Mario. Quite a few levels in the game are just showcases of each available costume, so if you want to spoil yourself and find out how many costumes there are, or perhaps investigate what amiibo we might have in the future, you can be on the lookout for these community levels. The fact of the matter is not everybody is capable of Shigeru Miyamoto, but there are a lot of future developers out there showing that thinking both in and out of the box can lead to some fun. Miiverse really makes the game a social activity. As you go through each levels, you’ll see notes from other players at various sections, and while some are indeed helpful, sometimes you wish it wasn’t a feature. More often than not, these Miiverse speech bubbles can really get in the way of obstacles, and they actually make each level harder to navigate. The coolest feature about these notifications is that when you die, you’ll see where other people died as well. It just goes to show nobody’s perfect. One of the first community levels I played was one of many Mario Maker takes on the popular mobile game Flappy Bird, where you have to go through as many pipes as possible. 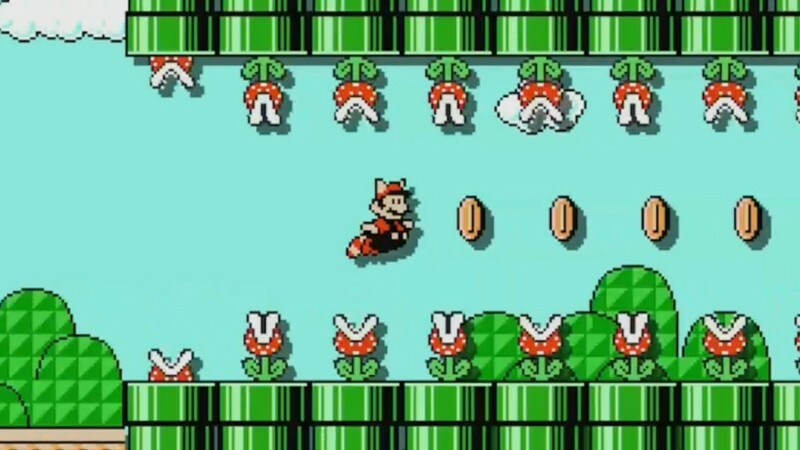 In the Mario Maker version I played, Mario is transformed into a Charizard and you have to jump in between all the pipes to get to the end. Like Flappy Bird, it’s a simple concept, but execution was extremely difficult as there were high jumps and narrow paths to get through. 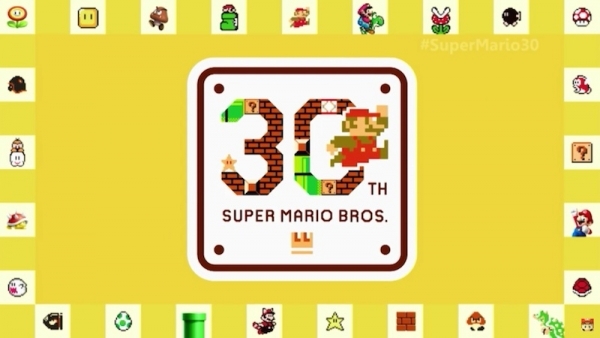 Over a million levels have been uploaded to Super Mario Maker. A lot of them are based on Flappy Bird. Other community levels worth mentioning don’t even have you do anything at all. Entitled “Don’t Do Anything!”, these levels just have Mario stand there as the level runs its course and leads Mario to the end via moving platforms, springs, and all sorts of other things. One of the “do nothing” levels I distinctly remember was having each obstacle and move tuned to the melody of Zelda’s Lullaby. Playing through each of these levels makes me wish I had that kind of creativity and imagination, and as a game reviewer it sort of makes me feel sort of belittled. Other publications have pointed out that you don’t have access to the full canvas of features that the level designer has. In all honesty, the best games aren’t made in a day, so it’s actually pretty cool to see that more and more things are unlocked each day rather than all at once. If we’re being completely honest, I’ll come clean here. I have yet to upload any levels into Course World. I just don’t find myself to be that creative. Even at that, I’ve spent plenty of hours playing the various courses that have been uploaded in the community, and it’s been quite enjoyable. To date, more than a legitimate million courses have already been uploaded, and kudos has to be given to both Nintendo’s moderators and the community at large for making the replay value undeniably infinite. Whether you’re new to Mario or have been playing the game since the ’80’s, there’s something in Super Mario Maker for everybody.